What's the story behind the terminology in Santa Rosa's recovery? REBUILDING Santa Rosa’s Resilient City Department handles building permits in fire zones,while the planning department focuses on business for the rest of the city. Santa Rosa is a resilient city. It's also a Resilient City. In the aftermath of October's devastating fires, the city adopted an ordinance on Oct. 24 aimed at speeding reconstruction in areas impacted by the disaster. The ordinance created a "Resilient City Combining District" that loops Coffey Park, Fountaingrove, Oakmont, Montecito Heights and the Round Barn/Highway 101 corridor into a special building zone with a streamlined permitting process and various "resiliency initiatives." "We are dedicating additional resources to those residents who are trying to rebuild homes lost in the fire," says Santa Rosa Mayor Chris Coursey. "At its core, our effort is to help the city bounce back from what is an obviously serious blow." Toward that end, the city has created a Resilient City Department to oversee building permits, inspections and other functions for those affected by the fires. The city's Planning Department will handle non–fire related business. 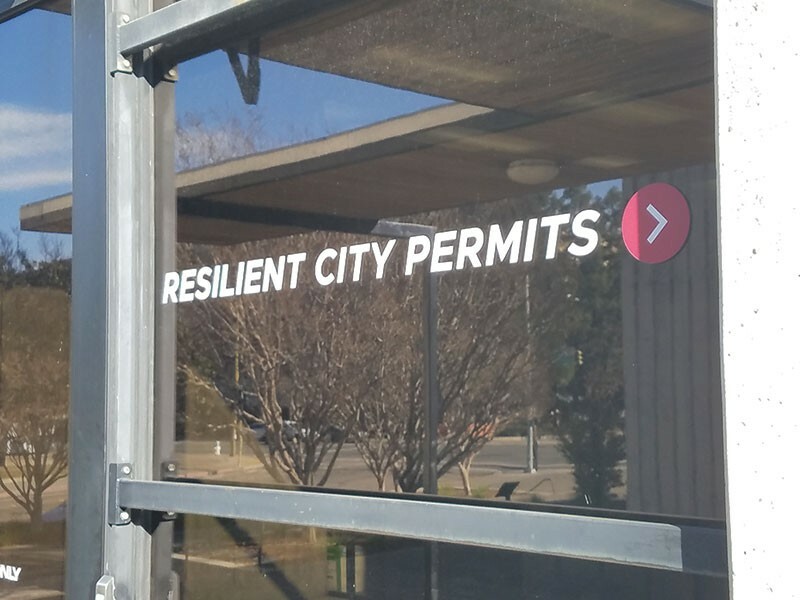 The resilient city ordinance waives many fees associated with building permits and inspections and exempts projects from state environmental review, which can add time and money to projects. The ordinance "exercises the land-use powers of the city to protect the health, safety and welfare of the public which would be put at risk if fire-damaged neighborhoods were not quickly repaired and repopulated." The ordinance further declares the legislation won't be detrimental to the public interest because it "will provide a means by which to restore portions of the city damaged by the fires to their previous land uses and intensities, with modifications for compliance with current code and added resiliency." "Resiliency" is having a moment in urban-planning circles much like "sustainability," another buzzword of late. Google searches for "resilient" have never been higher. The term "resilience" appears to have moved from the fringe to the mainstream. Resiliency, however it is defined, is part of growing range of social movements and nonprofit organizations but Santa Rosa's efforts are not aligned with any one group or organization. "It's not connected to any particular movement or agenda," Coursey says. "It's an aspirational term." The Rockefeller Foundation launched its 100 Resilient Cities campaign in 2013 to support cities around the world to become more resilient to physical, social and economic risks and challenges. The Transition movement that began in the English town of Totnes in 2006 has become an international network of "transition towns" that aim to become self-sufficient in the face of perceived threats of peak oil, climate change and economic instability. The guiding principle of the movement is building "resilient communities." "No one was using the term transition or resilience 10 years ago," says Carolyne Stayton director of Transition US, which is based in Sebastopol. "Over time, a term does get watered down. It's just the life cycle. That what happens when something gets more mainstream." But she's happy to see the term spread. "It's great to see it used more in the mainstream. I think it's a good thing overall." The organization held a forum on Dec. 12 at the Sebastopol Grange called "Celebrating Resilience" that featured Sebastopol Mayor Una Glass, Post-Carbon Institute fellow Richard Heinberg, and Bob Stilger, author of AfterNow, a book about recovering from the Fukushima disaster. While the event was designed as a festive fundraiser, October's fires served as a backdrop. "Resilience as a planning and managing priority for cities is on a meteoric rise, with NGOs, governments, planners, managers, architects, designers, social scientists, ecologists and engineers taking up the resilient agenda," wrote New School urban ecology professor Timon McPhearson on the Nature of Cities blog in 2014. He cautioned against supplanting the term for sustainability, lest it lock cities into "undesirable trajectories, away from sustainability." He cites discussion after Superstorm Sandy hit New York and New Jersey to build massive sea gates to protect the region against future storm surges, a huge technical fix with serious ecological side effects. "Resilience needs to be linked to sustainability so that the resilience we are trying to plan and design for actually helps us more toward desired future sustainable systems," McPhearson wrote. In addition to "bouncing back," the definition of resilience refers to the ability of a material (or presumably a city) to resume its original shape or position after being bent or stretched. Santa Rosa's resilient city ordinance calls for rebuilding to "previous land uses and intensities," albeit up to new city and state codes. Given that climate scientists predict more wildfires of greater ferocity, should the city resume its original shape? Would that make the city more resilient to future calamities like fires, floods and earthquakes? Coursey says the city is discussing additional measures beyond the ordinance to become more resilient, such as how to exceed building code requirements to meet the state's 2020 "zero net energy" mandates for new home construction without passing financial burdens to residents. "If we can find funding, we'd like people to build to that code," he says. David Guhin, Santa Rosa's director of planning and economic development, says resilience informed the city's priorities before the fires. He approaches the term on a systemic, citywide basis. "We approach most things with that term in mind," he says. While the city's resilient city ordinance is focused on helping residents rebuild, is rebuilding in fire-vulnerable areas like Fountaingrove or Montecito Heights an example of resilience or folly? The new housing and fire codes enacted after homes in those areas were constructed will better prepare newly constructed homes from future calamities, Guhin says. "Codes makes building in those areas more resilient," he says. "We have to continually look at how we build a sustainable community that understands those potential risks and mitigates them to the best of our ability."